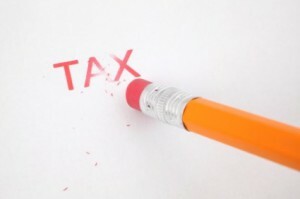 An S Corporation Tax Strategy: Can You Eliminate Current Income Taxes on Company Profits? In a recent article by the Wall Street Journal, a potential possibility for limiting tax liability is being considered on the heels of the two North Carolina business owners who are attempting it. Right now, the issue is being explored in U.S. Tax Court, too, where a previous decision in December issued a ruling in favor of business owners. In an S Corp, which is typically how closely held firms organize themselves, earnings go directly from the company to the owners, who then have to pay taxes on their individual returns. This only works for companies with less than 100 shareholders, but it does provide a shield of corporation-like protection while avoiding an income tax at the corporate level. Depending on how the court decides, there are major ramifications ahead for S corps. If the decision is handed down in favor of the corporations, these organizations may be able to reap significant tax savings by limiting their liability. In the North Carolina case, it’s all about how the owners structured their agreements. They reorganized the company into an S Corp in 1998 with a divided ownership strategy that gave 5 percent ownership to an ESOP. These assets can increase in value tax-free and allow for penalty-free withdrawals by individuals at age 59 ½ . For tax purposes, nearly all of the profits from the corporation could have been shifted to the ESOP, putting off tax liability until individual withdrawal down the road. Many corporations are interested in mitigating risk and exploring tax reduction strategies, we can help with both. Email us at info@lawesq.net or contact us via phone at 732-521-9455 to get started.